Cloud based 3D visualisation, management, inspection, photogrammetry processing, analytics, collaboration and secure delivery for your high accuracy drone data. Upload your photos directly from the KlauPPK software to your 4DMapper account. Create orthophotos, DTMs, 3D mesh models and pointclouds powered by Autodesk and manage them in your 4DMapper account. With your data in 4DMapper you can visualise in 3D, measure, digitise, inspect, share and collaborate. All on your browser. No need for expensive software and hardware, let the cloud do the heavy lifting. 12 months subscription of 4DMapper, including 10 Gigapixels of processing per month. See this short video or visit www.4DMapper.com for more details. 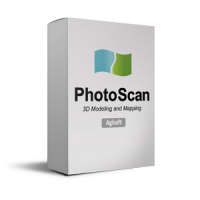 Process your high accuracy photos on your desktop in Agisoft Photoscan to produce quality orthophotos, DTMs, pointclouds and mesh models with cm level accuracy. Data from the Verity Positioning software easily imports into Photoscan. Set the accuracy of your photos to 3cm, pick your camera calibration points, and process your project. The results will be of the highest possible accuracy, as though you have hundreds of GCPs, but your control is in every photo. The team at Klau Geomatics will help you with direct phone and screenshare support to ensure that you get the best possible results. The KlauPPK Processing Software. A streamlined workflow to create accurate camera positioning data in any coordinate system. Free with your KlauPPK kit or ready-to-fly drone. Or, buy it separately to get PPK quality from your Phantom 4 RTK! 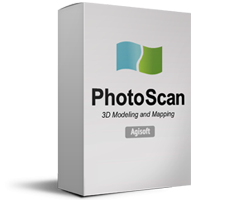 Custom software to create accurate data for photogrammetry. KlauPPK software enables professional users to achieve the most accurate and reliable results with their P4RTK drone without running it in RTK mode. PPK does not require a real-time connection to the base. Not only does this save users the time in the field, but the data collected is complete, no losses due to communications links or range means better data quality, and as it is post-processed the solution is more rigorous than a real time RTK solution. No Survey Equipment or Smart GCPs Required. DJI’s P4 RTK requires at least 3 GCPs to achieve the best possible accuracy (see this link for more details). The KlauPPK software offers a proven, effective method which reduces this requirement to only a single GCP. Using the KlauPPK software, your drone can be used as a static survey equipment to collect any number of check or control points, reducing the field time and operational costs. You no longer need to place smart ground control control points or measure targets with survey equipment. Integrated Base Station Data. KlauPPK software has seamlessly integrated both free and commercial CORS data sources in most parts of the world. This enables users to process their PPK data without having to set up a base station or search for the right data. 3D Lever Arm Correction. This feature brings even more precision to the computed results by modelling the 3D offset between the GPS antenna and the camera centre, or lever arm, which changes as the drone tilts in different directions, to determine the exact camera centre position for each photo. Geoid and Coordinate System Support. KlauPPK software converts the default WGS84 geographic coordinates from the DJI P4RTK to any published coordinate system and applies the geoid separation. Users can also add a new coordinate system, perform datum transformations and site localization to calculate accurate camera positions in their local site frame of reference. Smart Geotagging. Computed high-accuracy camera positions with their horizontal and vertical accuracy values can be written to the image EXIF data, or to a text file with other survey report information. The accuracy values are applied in photogrammetry processing software, again helping to achieve the best possible results. Added efficiency, reliability and accuracy.